Samples of all our perfume sprays, each sample is approximately 2ml and contains the same perfume as the 80ml/100ml bottles. 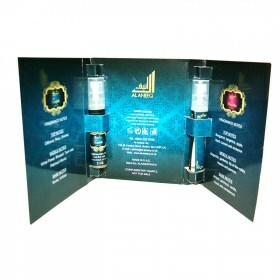 The Shaykh & Shaykha samples contain two samples as pictured above. No samples available for Oudh Jamal & Oud Maraam.